Every Fan in attendance will receive a T-Shirt featuring the 1990s Spurs warmup look. SAN ANTONIO-- The AT&T Center will become a time machine December 13, when the Spurs host the L.A. Clippers on "Throwback Thursday." 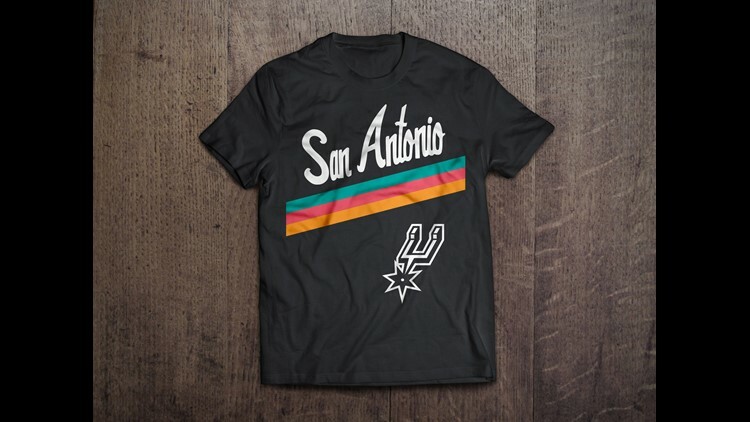 And according to a release from the AT&T Center, all fans in attendance will receive a retro t-shirt in the likeness of the team's 90s warmup outfits, to celebrate the event! The Spurs will also be celebrating the night with contests throughout the game, including H-E-B Disco Ball Mania, a decades-themed Frost Buzzer Beater, and H-E-B 80s Dance Cam. And in true throwback fashion, '00s boy band sensation O-Town will perform after the game in the Bud Light Courtyard. The concert is free to anyone attending that evening's game. Fans are encouraged to post their own Spurs throwback photos on social media to using the hashtag #SpursTBT, and to come to the game dressed in throwback attire from their favorite decade. Individual and season tickets for the 2018-19 campaign are available at all levels. To become a Spurs Season Ticket Member, visit Spurs.com/SeasonTickets or call (210) 444-5050. The 2018-19 season is presented by H-E-B.